2. Crooked teeth can bite. If you suspect that your child’s bite is not aligned, we invite you to make an appointment with Blaisdell Family Dentistry. Drs. Lynn R. Blaisdell can evaluate your child’s bite and make recommendations to see a specialist if required. 5. Crooked teeth can cut down your child’s power to eat a healthy diet. When uneven teeth begin to crowd together, it becomes difficult to make vital daily cleanings effective. And, when your teeth aren’t cleaned properly, problems with plaque build-up, cavities, and gum disease generally result. Severely crooked teeth typically affect well-being and quality of life. For example, chewing problems can lead to ulcers, and gum disease increases the risk of stroke and heart disease. 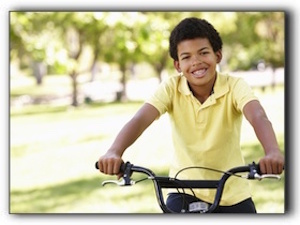 To find out if your child needs braces, schedule a consultation at Blaisdell Family Dentistry by calling 208-377-9696.